Some unusual weather has struck SXSW, with heavy rain and low 50s temperatures striking throughout the day today. Our team has been working to handle the unexpected downpours. We put together this video to show just how bad the weather is and go over what we’re doing. This entry was posted in Uncategorized on March 9, 2012 by rob. We’re very pleased to announce that Gliph will be officially launching at SXSW 2012! We’ve been working to put together something to help all Gliph attendees connect with each other and take away a unique experience. We’ve created a Gliph press page with more information about what we have going on. 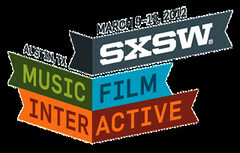 Also, keep an eye on our twitter feed for updates throughout SXSW Interactive and Music. This entry was posted in Uncategorized on March 6, 2012 by rob. We’re pleased to announce that we have received seed funding from the Portland Seed Fund! The PSF is a startup accelerator offering seed money, mentorship and a network of other companies seeking to do build something great. Two awesome companies from PSF class one include Vizify and Geoloqi. This entry was posted in Uncategorized on March 3, 2012 by rob.